PS3 isn’t only a game console, but a media player as well for it has a hard drive that allows you to store large media files, such as photos, music, TV shows, videos, movies and even save games on the system. Want to know how to stream or sync media files from PC/Mac to your PS3 easily? This article provides Four methods. When video game consoles first became popular they were for just that – video games. Today consoles are multimedia machines with massive storage space and the ability to grab content from the internet, and if set up correctly from other computers on your home network. The PlayStation 3 can be connected to your home network via the Ethernet port, and while you’ll definitely want to do this for online play, you may not fancy the hassle of setting up access to your computer. If you want to watch a movie or TV show on your PS3 that you’ve downloaded on to your computer then there are some simple alternative: use a USB flash drive, Windows and Windows Media Player can set your computer up to be a media sharing server. You could also use an external hard drive, as long as it has a USB cable it will work just as well. You may also want to transfer music and photos onto your PS3 or perhaps even a downloaded save game. They can all be transferred in the same way. Once everything is ready it’ll be nice and easy to sync content across. This being said though, if you run into problem it can be infuriating to try and diagnose, which we’ll come onto later. First of all you’ll need a USB flash drive or an external hard drive. Plug it into your computer and copy over the movie files that you want to watch on your PS3. Plug the USB drive or external hard drive into one of the USB ports on the PS3. Navigate to Video on the PS3 XMB menu and find your device. Hit triangle to view all contents. Select the file you want and either copy it to the PS3 hard drive or just play it directly from the connected device. The process for copying music and photo files is exactly the same. Download the save game file onto your computer and unzip it. Create a folder called PS3 and a folder inside that called SAVEDATA. Place the downloaded save files in SAVEDATA (they’ll often already come inside a SAVEDATA and PS3 folder in which case you obviously don’t need to do this). Copy the PS3 folder onto your USB device (don’t place it inside another folder on the flash drive or external hard drive). Plug your device into one of the PS3 USB ports. Navigate to Game on the PS3 XMB menu and then select Saved Data Utility and find your USB device. Hit triangle to explore and select the save game and then choose Copy. You’ll often have to copy individual files one by one. You should also note that copying some saved games will invalidate your ability to earn Trophies on that game. Just be careful about what kind of files you are copying. For example you can copy Pro Evolution Soccer 2010 Edit Data in order to get up to date names but you can’t copy Saved Data or you’ll lose the ability to earn trophies. There is a specific problem I encountered with the SanDisk Cruzer Flash Drive. If you have one of these USB drives you’ll need to uninstall the U3 Launchpad software which automatically runs. Before you do this make sure that you back up all data on the USB device because this tool will wipe it completely. You can download the U3 Launchpad Removal Tool here. Once that’s gone you should find it works perfectly and instead of going through the eject process in the software you’ll need to do it via the icon in your toolbar which says Safely Remove Hardware. Hopefully this guide has allowed you to stream media contents to your PS3. So you don’t want to download any extra software? Windows Media Player is all you need. First thing we’re going to set is the sharing settings on your computer. If your computer isn’t set to share files, no matter how hard you try the PS3 will never see your computer, and if it does it probably won’t be able to play what it finds. To get things running, follow the steps below, starting with the Network and Sharing Centre. In Windows 8: Open your start screen and type ‘Network and Sharing’. Click on ‘Settings’ on the right hand side, and finally click ‘Network and Sharing Centre’. In Windows 7: Click on your start button, and click ‘Control Panel’. ‘Network and Sharing Centre’ should be listed here, if not, click Network and Internet and then you’ll see the option. For the profile you are using, first make sure Network Discovery is turned ON. Without this, your computer won’t show up on networked devices, such as your PS3. Next, make sure File and printer sharing is ON. Without this, won’t be able to access any of the media on another device. Next, let’s turn on the Media Streaming Sever. 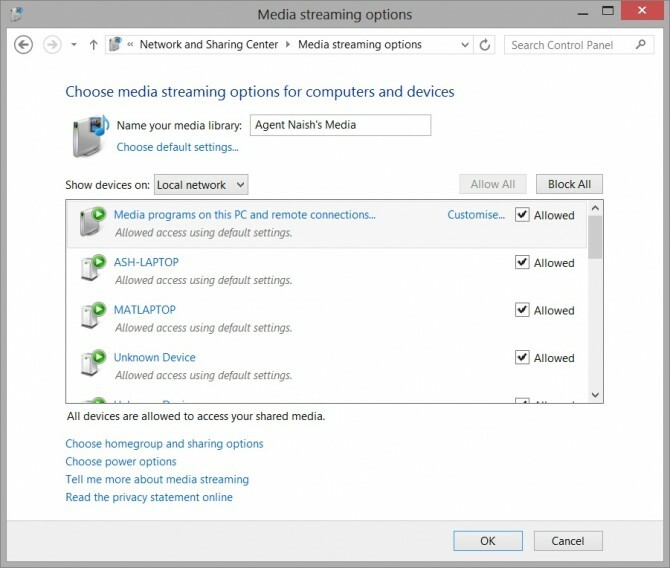 There will be an option further down for Media streaming, click Choose “Media Streaming Options”. When you click this, if you get a button saying ‘Turn on Media Streaming’ click it! This needs to be on for the whole thing to work. If you have followed up to this point, Congratulations! You can now leave your PC and go to your PS3. Turn on your PS3, and go to either the Audio, Video or Music section, and your PC should be listed there as a media source. Select it, and all available media will be there to use. After the inconsistent results I experienced with Windows Media Player, I found my way to a piece of software called ‘PS3 Media Server‘. If you’re using Windows, just visit their site, click on the Windows logo, and then click pms-setup-windows.exe (there will be a number there too, which is just its version number). The thing I love about this software most is… That’s it! We’re all set-up! Go to your PS3 and you should see the PS3 Media Server Listed in a similar position to the screen shot of the PS3 above. 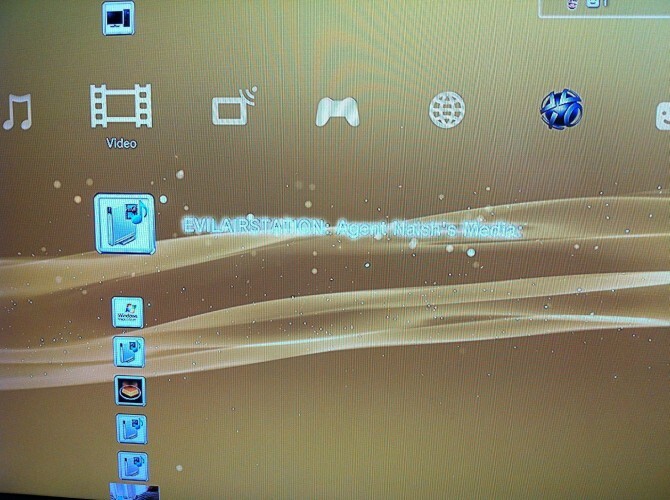 To access your media, you click on the icon, and the folders you now get on the PS3 are the same as on your computer. So to get to My Documents you will have to go into C:\Users, click on your username, and then My Documents, Music, Videos, and Pictures should be listed here. You can change this if you wanted, so only certain folders are shared in case you didn’t want everything on your PC on show, but this is how it is set up as standard. At the bottom you’ll find a “Shared folders” section. Click the folder with a green plus to add a folder. Once you’ve added a folder to this list, it will show on the PS3. The other really good thing about PS3 Media Server, is that it converts while you watch. This means that files which normally wouldn’t play on a PS3 because it’s not a file type the PS3 can usually play are changed into files that will play, as you’re still watching them! This is done automatically, and it usually doesn’t require any additional loading time too so just select the file you want to play. 1. The transferred videos have to be in your “Video” folder. 2. Your PC and your PS3 might have to be on the same internet connection for this to work well. 3. Make sure the transferred files are supported by the PS3. There are other programs out there which will do the same thing, so don’t feel like this is the only answer. I personally love PS3 Media Server as it is so easy to set up and use, while other software such as Plex work just as well after being set up. It has to be said, both PS3 Media server & Plex can stream to more than just videos to your PS3 so this guide is really only scratching the surface. After this simple set up, you will be able to stream content to your PS3 without hassle, just keep your PC turned on, but don’t forget the most important step: relax in front of your TV with the popcorn and drinks! Bring on Baseketball. How to Stream Video from Mac to PS3? 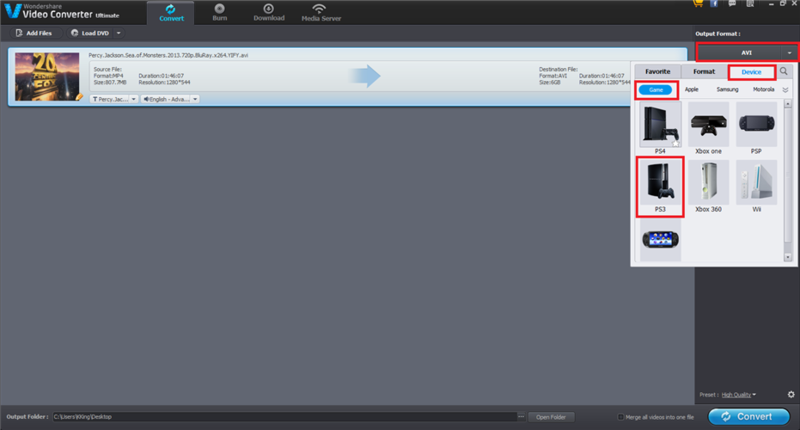 Download the Mac version of PS3 Media Server. Then drag it to the Applications folder and it will automatically install it onto your Mac. Open your PS3 Media Server, and make sure it is connected to the internet on the same network. Then the PS3 Media Server will detect your console and a picture of the PS3 will show up in the main window. If it doesn’t show up after a minute or so, navigate to the video tab and choose “Search for Media Servers” to ensure your Mac and PS3 are connected. Now do some settings to choose the folders which contain the files you want to stream. To so this, select the “Navigation/Share Settings” tab. Click the green plus icon underneath the Shared Folder heading, select as many folders as you want and click “Save”. The content in the folders will then be directly streamed to your console. Tip: There are other options you may find useful, such as a tick box that says “Show iTunes Library”, which will automatically shows your iTunes library on the PS3, although it will take longer to load the files. Look under Video section of your console, and you will see the shared folders that you specified. 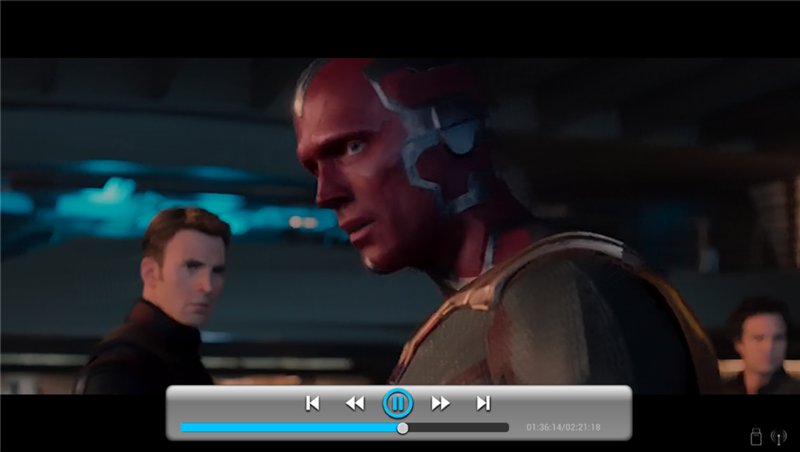 Simply clicking a file to initiate the playback, and reverse, rewind, pausing and chapter skipping are all supported. Subtitles also work, but they are pretty buggy, which will disrupt the overall viewing experience. According Sony PS3 can only play MP4, AVI, AVCHD, WMV video. If you want to move H.265/HEVC, MKV, VOB, Tivo, DAT, XviD, M4V, TS, M2TS, MXF, RM, RMVB, ASF, 3GP, 3G2, F4V, FLV, SWF, MPV, MOD, TOD, QT, MOV, DV, DIF, MJPG, MJPEG, TP, TRP, WebM, etc. video files to PS3, what you should do first is download an app on your PC that will change the format of the videos to match the format that the PS3 accepts. You could easily find something if you Google it. Otherwise, after you have changed the format just insert the memory card, go to the card on the XMB under the videos section and then press triangle and display all, the copy them to your HDD and you should be good to go. If you haven’t install any video convert app on your computer, you can try the Wondershare Video Converter Ultimate. It’s the best PS3 video converter on the market. And the latest version also included a powerful plugin called “Media Server“, which helps you stream any video to PS3 effortlessly. Plus, the Wondershare Video Converter Ultimate is really fast and easy to use for convert your any video/audio files to PS3 or PS4. It’s also include various pre-define format setting for Games, web, portable devices, VR Headsets, TV and NLE etc. Which assist you convert directly your requited video instead of using manual setting for a specific device like PS3, PS4, Xbox 360, Xbox One, Wii or PSP. Each device and platform have its own specific codec, making the conversion much easier and efficient. If you are on Mac OS X, Video Converter Ultimate for Mac is the alternative to aid you stream any videos to PS3 video format on Mac. 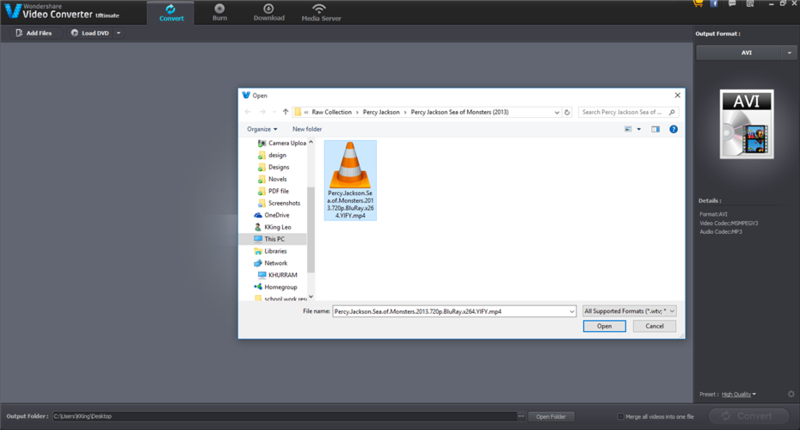 In the following section you can see how to convert unsupported Video/Audio into PS3 supported formats in a few clicks by using Wondershare Video Converter Ultimate. Here let’s see how it works. How to convert unsupported Videos to PS3 Supported formats? Install and open “Wondershare Video Converter Ultimate” on your system. When it’s appear please make sure you are in Converter menu. After select your output format now just click on “Convert” button. By clicking on Open folder you will find an output file. This Output file is fully combatable with the PS3 console. You will simply copy this file into portable memory like USB and simple play it. Now, you can keep the converted video file in PC and stream it through wireless router in PS3. DLNA / UPnP is becoming smart to play your media through your PC into any stream supported device. 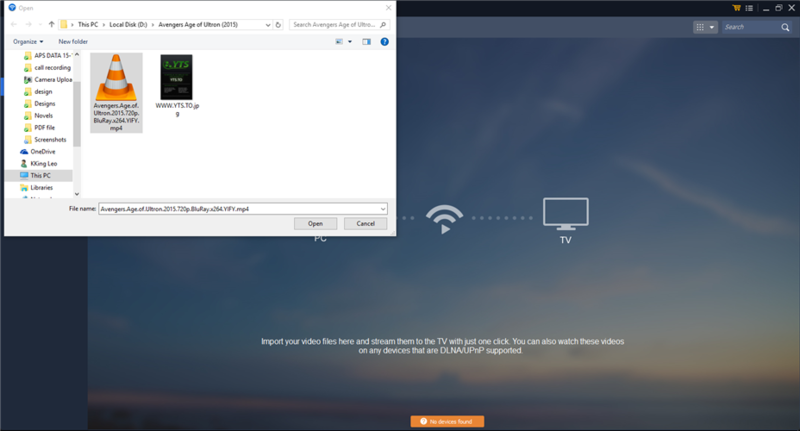 So if you have huge amount of video data, you can watch on big TV screen with your PS3 from your PC using Wondershare Video Converter Ultimate. 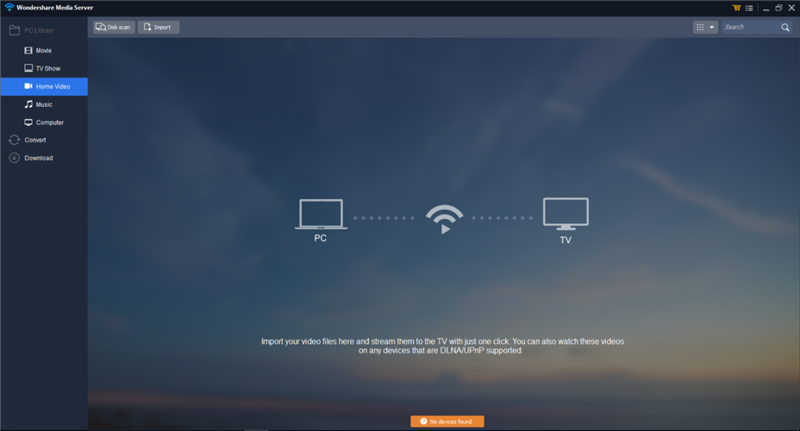 Wondershare Video Converter Ultimate turns your PC into a Media Server. Before we go for further details there is one important thing that you should make sure that your PS3 and PC are located in the same network, so that Wondershare Video Converter can automatically detect your devices. Now the following screenshots from “PS3”. The above and following screenshot from TV screen to show options on PS3. Now enjoy your videos form your PC to your big TV screen without connecting any cable. There are so many different video converters out there. How are we going to know which one would work best for us? Honestly, it’s very subjective. Some people only need a simple and quick conversion of the file’s container (i.e. from an H.265 to MP4), whereas others might require more complicated adjustments (i.e. to change the frame rate, bit rate or codec). Hence, I’ve compiled a list of Top 5 Recommended Video Converter Ultimate Softwares that can hopefully aid you in making your decision of a best video converter. The factors that were taken into consideration ranges from the pricing to operating system’s compatibility; the ease of use based on the system’s interface; user’s reviews; range of supported output formats, speed, quality and etc. If you’re not new to video conversion and are looking for a video converter that offers a little bit of everything, my best recommendation would be Wondershare Video Converter Ultimate. It’s also worth mentioning that Leawo Video Converter Ultimate is slightly easier to navigate, and it can also backup Blu-ray/DVD movies. Both of the software is rated ‘Medium’ based on the user’s review. However, if you require a wider selection of output choices for your video conversion, strong user’s review as well user-friendly interface; your best option would be either Wondershare Video Converter Ultimate or Tipard Video Converter Ultimate. Once again, the downside of Tipard compared to Wondershare is that it doesn’t support Wi-Fi Transfer, Download Online Video, Stream to TV or Set-top Box as well as Built-in Media Player. Now, it’s up to you! ← How to Put and Play DVD onto Xbox One without any region code restrictions? Usually I don’t read post on blogs, but I would like to say that this write-up very compelled me to take a look at and do it! Your writing taste has been amazed me. Thanks, very nice post. I have used PS3MediaServer and while it is a very powerful piece of software, I have found there is one that is much better. It is called Serviio. This is able to stream to xbox 360, PS3, any TV’s and Bluray players that support it (most Samsungs and Sonys). One big benefit, is if you keep movies and tv shows on your computer it will go out to online databases and get all the pertinent info. So you can find all the movies on your computer that has Sean Connery in it. Another benefit, is it will keep track of your TV Shows and will mark the last episode you viewed. This is really handy if you are working your way through a series, but can never remember where you left off. Thanks for the tip, I will bounce this new software around the office, I am sure that the HTG crews are very excited to get their hands on serviio. Hmm, I’ve changed several of the settings but my video files keep stuttering when streaming. Any thoughts on getting around this? PS3 media server works without problems with subtitles? Yes so far from my experience, PS3 Media Server works like a charm with subtitles as long as they are in the same directory as the media. I have been exploring for a bit for any high quality articles or weblog posts on this sort of house . Exploring in Yahoo I finally stumbled upon this website. Reading this info So i am satisfied to convey that I have a very good uncanny feeling I came upon just what I needed. I so much surely will make certain to don’t forget this site and give it a look on a continuing basis. I really appreciate this post. Iˇve been looking everywhere for this! Thank goodness I found it on Bing. You’ve made my day! Thanks again! Just want to say your article is as amazing. The clarity in your post is just cool and i could assume you are an expert on this subject. Well with your permission allow me to grab your RSS feed to keep updated with forthcoming post. Thanks a million and please continue the rewarding work. A lot of thanks for your own labor on this website. Most of us hear all of the powerful ways you make effective tricks through the web blog and as well as improve contribution from website visitors on the subject while our child is without a doubt becoming educated a lot. Take pleasure! Hello. This article was really fascinating, particularly since I was looking for thoughts on this subject last week. 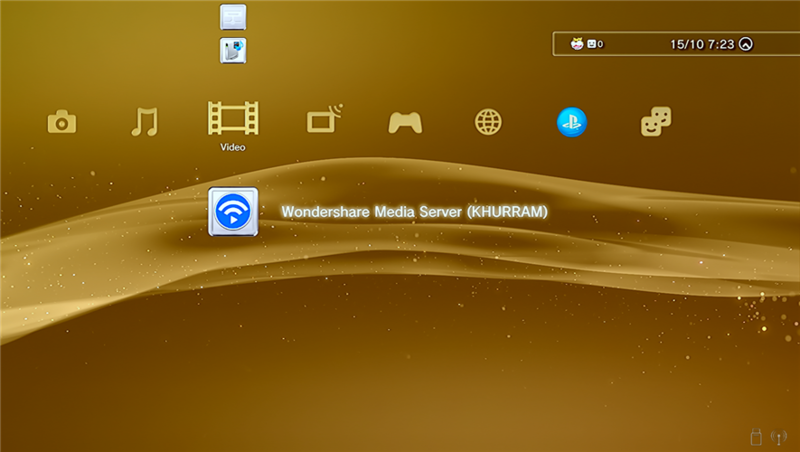 I just used wondershare video converter software to make a playable MP4 file on my PS3. Thanks a lot.